Superdry men’s Glacier Snow goggles. These framed ski goggles offer a high level of protection against sun glare and feature a category 3 UV400 double polycarbonate and acrylic lens system with an anti-fog coating and ventilated frames. The fully adjustable Superdry branded strap has a silicone gripper band to prevent slippage when worn with a helmet. 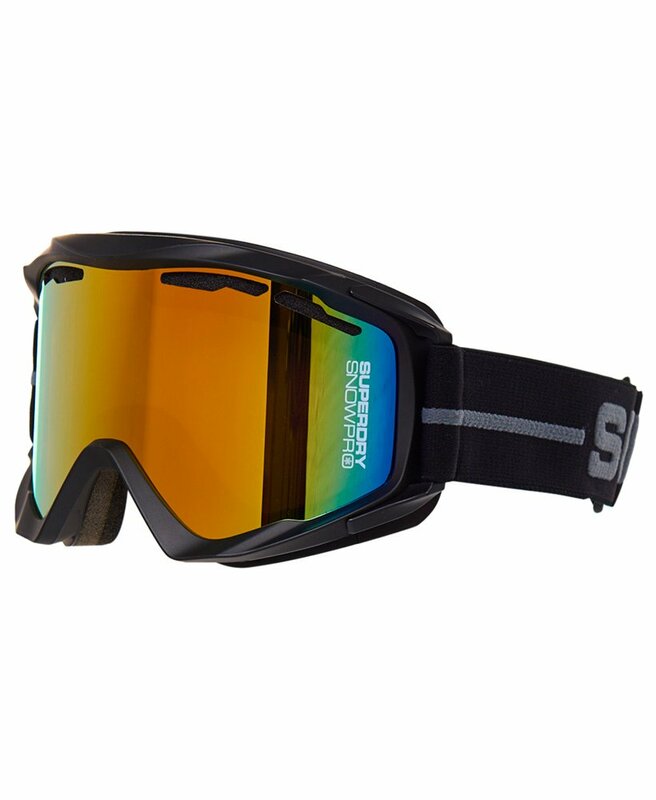 The frame is lined with foam for additional comfort and the glasses are finished with a Superdry Snow Pro logo on the side. 8%-18% transmission. Drawstring adjustable protective pouch provided.